Summary: Our workers compensation attorneys discuss the types of shoulder replacement surgery and situations in which a worker may need this surgery. A worker who suffers a severe shoulder fracture in the workplace may require a shoulder replacement surgery. This surgery is generally only performed if other forms of conservative treatments such as medications and therapy do not work. In this post, our St. Louis workers compensation law firm will discuss the various types of shoulder replacement surgeries, and the situations in which a worker might need this surgery. These treatments may not be enough to restore function and relieve pain. If the worker can no longer perform routine tasks due to the injury, a shoulder replacement surgery may be the only option. There are various types of shoulder replacement surgeries, and the doctor will determine the appropriate type of surgery depending upon the worker’s injury. One type of shoulder replacement surgery involves implanting a glenoid component. The glenoid is a socket into which the upper arm bone fits. It is performed when the patient’s rotator cuff tendons are still intact. However, if the rotator cuff tendons are torn or stretched, the doctors may recommend another type of surgery. There is another type of shoulder replacement surgery known as stemmed hemiarthroplasty, which involves replacing the head of the humerus. This surgery is performed when the rotator cuff tendons are severely torn or when the humeral head is severely fractured. If only the joint surface of the humeral head is replaced, the procedure is called resurfacing hemiarthroplasty. This procedure is typically performed on patients that are active or young. If this procedure does not work, the patient may have to undergo complete shoulder replacement surgery down the road. 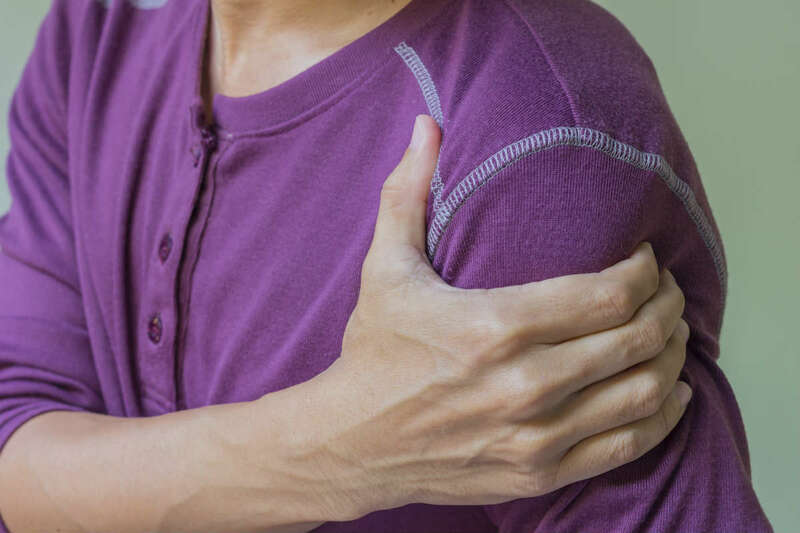 Reverse total shoulder replacement is another type of surgery recommended for those who have severe weakness in the arms due to torn rotator cuffs. It is usually performed when the patient has already undergone a shoulder replacement surgery, and it did not work. It involves attaching a metal bone to the shoulder bone, which fits into a plastic shoulder. If the accident occurred within the course and scope of employment, workers compensation benefits can pay for the treatment including surgery. The injured worker may also receive disability benefits to cover a part of lost wages. If the worker has suffered permanent injuries, they may be entitled to permanent partial disability benefits. To know more about your rights, get in touch with a competent experienced workers comp attorney at the Law Office of James M. Hoffmann today. Call (314) 361-4300 today for a free, no obligation case evaluation.